Victory Records Release Texas Strong T-Shirt For Hurricane Harvey Relief Fund! Comments Off on Victory Records Release Texas Strong T-Shirt For Hurricane Harvey Relief Fund! 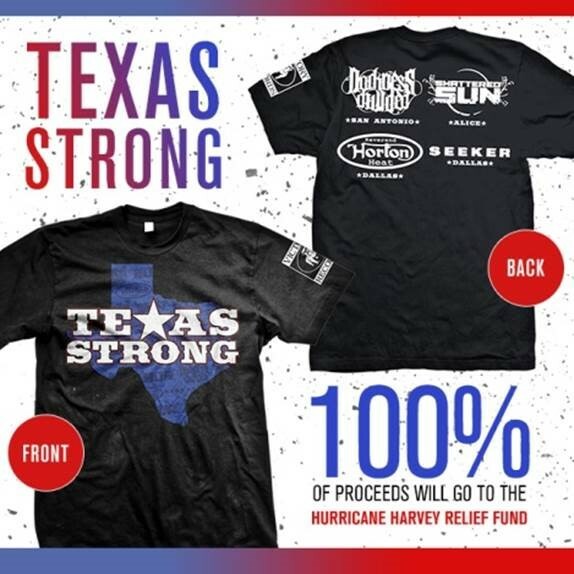 In response to the devastating events in Houston, TX and the surrounding area as a result of Hurricane Harvey, Victory Records will be raising money to donate with a limited edition t-shirt featuring the four bands that call Texas home: Reverend Horton Heat, Shattered Sun, Darkness Divided, and Seeker. The Texas Strong t-shirt is available for pre-order on VictoryMerch.com and will only be available for one week.